^ a b Mullen, Megan (2004) . 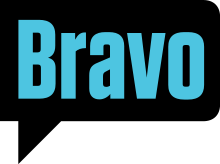 "Bravo (U.S. cable network)". In Newcomb, Horace. Encyclopedia of Television. 1 (2nd ed.). Chicago, Illinois, United States: Fitzroy Dearborn Publishers. pp. 308–310. ISBN 1-57958-411-X. This page was last edited on 20 March 2019, at 23:09 (UTC).